LOS ANGELES -- Linkin Park lead singer Chester Bennington, whose screeching vocals helped the rock-rap band become one of the most commercially successful acts in the 2000s, was found dead in his home near Los Angeles on Thursday, the Los Angeles County coroner said. He was 41. Coroner spokesman Brian Elias said authorities are investigating Bennington's death as an apparent suicide at Palos Verdes Estates, but no additional details are available. Band co-founder and producer Mike Shinoda said on Twitter he was "shocked and saddened." 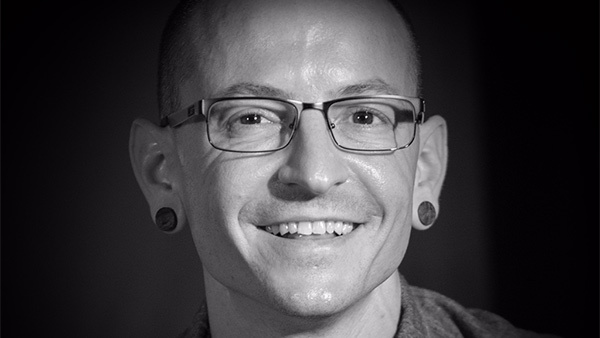 "Chester Bennington was an artist of extraordinary talent and charisma, and a human being with a huge heart and a caring soul. Our thoughts and prayers are with his beautiful family, his band-mates and his many friends," Warner Bros. Records CEO and Chairman Cameron Stang said in a statement. The Grammy Award-winning group sold more than 10 million copies of their 2000 debut, "Hybrid Theory," which featured the megahit and anthem, "In the End." They sold another 6 million with 2003's multiplatinum "Meteora." Both albums explored feelings of frustration and fury. The success helped Linkin Park become Billboard's No. 1 act of the decade for rock songs and alternative songs. Bennington's voice could soar with piercing strength or descend to a whisper. Rolling Stone once called it a "shrapnel-laced howl that sounds like it comes from someone twice his size." The band also sold millions with its remix album, "Reanimation," and its mash-up record with Jay-Z, "Collision Course." They won Grammys for best hard rock performance in 2001 for "Crawling" and best rap/sung collaboration for "Numb/Encore" in 2005. Linkin Park was scheduled to begin its tour next week. Bennington struggled with drug and alcohol addictions at various times during his life. He said he had been sexually abused as a child and was homeless for months before the band found fame. Linkin Park released their most recent album, "One More Light," in May. It was a CD that divided critics and fans alike for its embrace of moody pop. One song on the album, "Heavy," opens with the words: "I don't like my mind right now." Although the band had always experimented with different sounds, some claimed Linkin Park had sold out, which Bennington denied. "One More Light" became the band's fifth No. 1 album debut on the Billboard 200. "If you like the music, fantastic. If you don't like it, that's your opinion too. Fantastic. If you're saying we're doing what we're doing for a commercial or monetary reason, trying to make success out of some formula. then stab yourself in the face!" Bennington told NME magazine. Bennington was close friends with Chris Cornell, who died by hanging earlier this year, and performed Leonard Cohen's "Hallelujah" at the Soundgarden singer's memorial in late May. He was the godfather of Cornell's 11-year-old son, Chris. Cornell's 53rd birthday would have been Thursday. "The Cornell family is overwhelmed by the heartbreaking news about Chester Bennington which tragically comes so soon after their family's own loss," said a Cornell family spokesperson. "They open up their loving arms to Chester's family and share in the sorrow with all those who loved him." When he got his big break in 1999, Bennington was an assistant at a digital-services firm in Phoenix. A music executive sent him a demo from the band Xero, which needed a lead singer. (He had been recommended by his attorney.) Bennington wrote and recorded new vocals over the band's playing and sent the results back. He soon got the gig and the band then changed its named to Hybrid Theory, then Linkin Park. Bennington told The Associated Press in 2010 that because of the sound the band is known for - fusing sounds from nu-metal, punk, rock, pop and hip-hop - it was virtually impossible to satisfy their many kinds of fans. "We're making music for us, that we like. We're not making music for other people," he said. "We're not thinking, 'Let's make a pie-graph of all our fans and find out how many people fit in whatever category and then make the perfect album for them.' Like, that would be absolutely ridiculous." Bennington was married to his second wife, Talinda, and is survived by six children. AP Music Writer Mesfin Fekadu in New York contributed to this report. Kennedy also reported from New York.